North West 200 record holder Alastair Seeley is joining the PBM British Superbike Ducati team for this year's event. 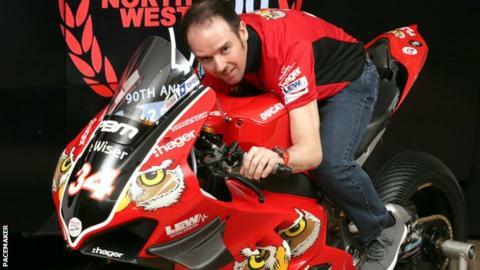 The 39-year-old from Carrickfergus, whose record tally of North West wins stands at 24, will compete on the V4 Ducati in the Superbike class. "To be honest I'm just blown away by the deal," said Seeley. Fellow Carrick rider Glenn Irwin rode for the PBM team before his move to Kawasaki. The PBM team have won the last three superbike races at the North West 200 with Irwin, Seeley's arch rival for Superbike success. "I just wanted to hook up with Paul Bird and the PBM Ducati," added the former former British Superstock and Supersport champion. "It's a new with a good pedigree and I think it will be well suited to the north coast. "I'm just going to go out and do what I do every year. The package is very good, as has been shown over the last three years." Seeley will again ride for EHA Racing Yamaha in the Supersport races. The 'Wee Wizard' secured double success in the Supersport class at the North West 200 last year. Seeley set a new class lap record in 2018 and he will compete for the same team in this year's Supersport series.